The Snake Eater Tactical Rifle Plate Carrier is like nothing you have ever seen. Our goal was to build the most light weight and adaptable carrier on the market. With our patent pending “Grid” mounting system, the versatility of this plate carrier will be limited only by your imagination. The S.E.T. Plate Carrier will accommodate Med and Large SAPI, as well as the commercial 10 by 12 plates. Thanks to this carrier’s modular design, components can be purchased separately so that you can build the exact carrier you want without spending extra money on parts that you don’t want. Our Plate Carrier comes only with the front and rear pouches and the shoulder straps. The side attachment system is purchased separately. We offer an elastic cummerbund and a 1″ strap. Side straps have three vertical positions for best fit. Two or more side straps can be used together to form a skelotonized PALS system. 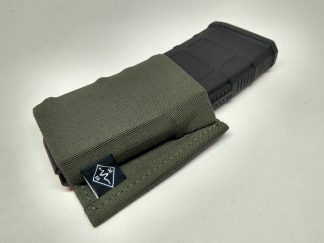 Mount any MOLLE pouch with 550 cord. Pouches can me mounted vertical, horizontal, or at a 45. Wear it slick for low vis work, or build it up to your mission requirement. Accepts, Medium and Large Shooters cut SAPI plate. Accepts 10 by 12″ Commercial Shooters cut plates. Removable and articulating shoulder straps. Compatible with common elastic cummerbunds. Side release buckles and velcro are standard dimensions. This allows the use of removeable racks for quick loadout changes. 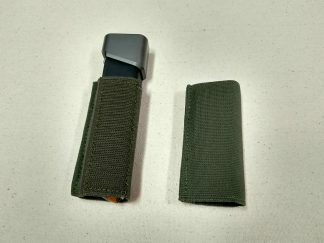 Front and Rear panels are identical with large and small loop velcro fields.